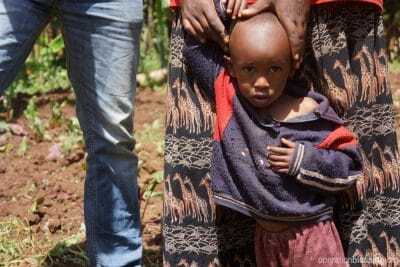 RWANDA – At three years old, little Jean Claude weighed a mere 17 pounds. His mother, Dative, struggled to provide enough nutritious food for him and the other eight children in her care. 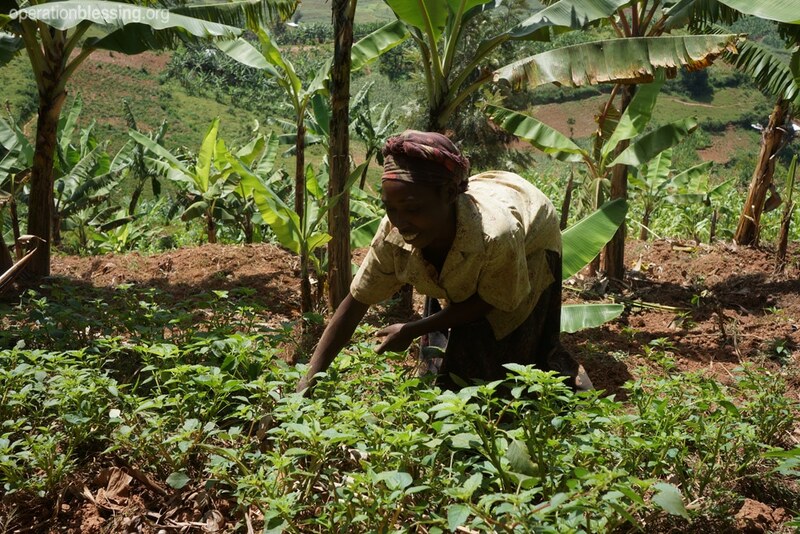 Rwanda is an agriculture-based society, but many families like Dative’s subsisted solely on rice and beans because they lack the knowledge and resources to provide more nutritious food. As a result, many children suffer from malnourishment, stunted growth and depressed immune systems. So when Operation Blessing and Gardens for Health partnered together to bring health and agriculture training to her community, Dative eagerly joined the program in order to better care for her children. Dative attended 14 weeks of health and sanitation instruction and agriculture training. She learned the importance of fresh vegetables for her children’s health, how to grow them and how to prepare a balanced meal. Along with more than 100 other families in her community, Dative was given all the seeds and tools she needed to start her own garden and begin raising small livestock. Meanwhile, as part of the program, malnourished children like Jean Claude received immediate food aid. Already, little Jean Claude has gained almost nine pounds thanks to the health and agriculture training Dative received. In fact, her entire family is healthier and happier. As I read this I remember the little Kristen whom I met a couple of days ago.Kristen was eating some sweet stems of a shrub he found by the valley after searching for what to eat for about days. Kristen,10, looks like 6 years old on account of poor nutrition.The mother recounted in tears that Kristen,the last of her four children was born when his father had died 5 months ago. Through charity from well wishers she is struggling to bring up her 4 children in their tattered two room house. She does some kind of crop farming to feed her children. There are many many many hungry and starving kids in the Kitiwum neighborhood like Kristen. An health and nutrition program would give hope and life to these many poor and vulnerable kids in Cameroon. Would OBI accept a proposal from Cameroon and what are the requirements.Thank you. Marius, your message and request have been forwarded to our international department. Blessings.